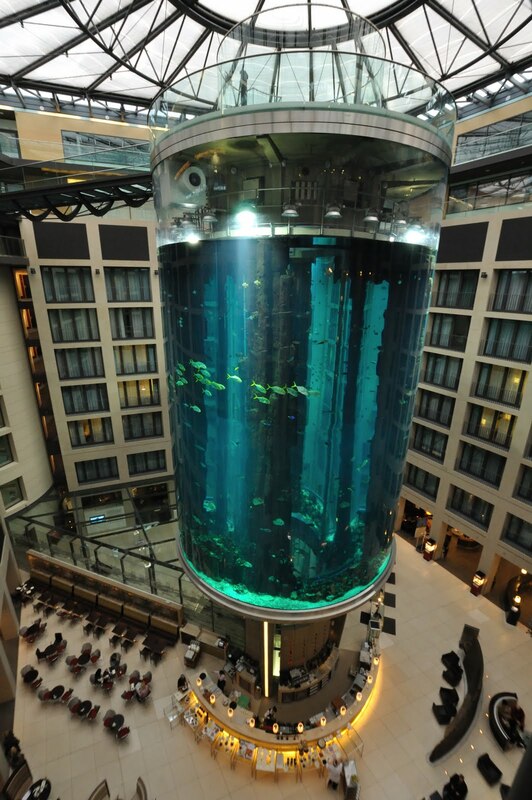 The Aquadom is a 25-meter tall cylindrical aquarium found in the lobby of the Radisson Blu Hotel in Berlin, Germany. It is known to be the largest free-standing aquarium in the world. 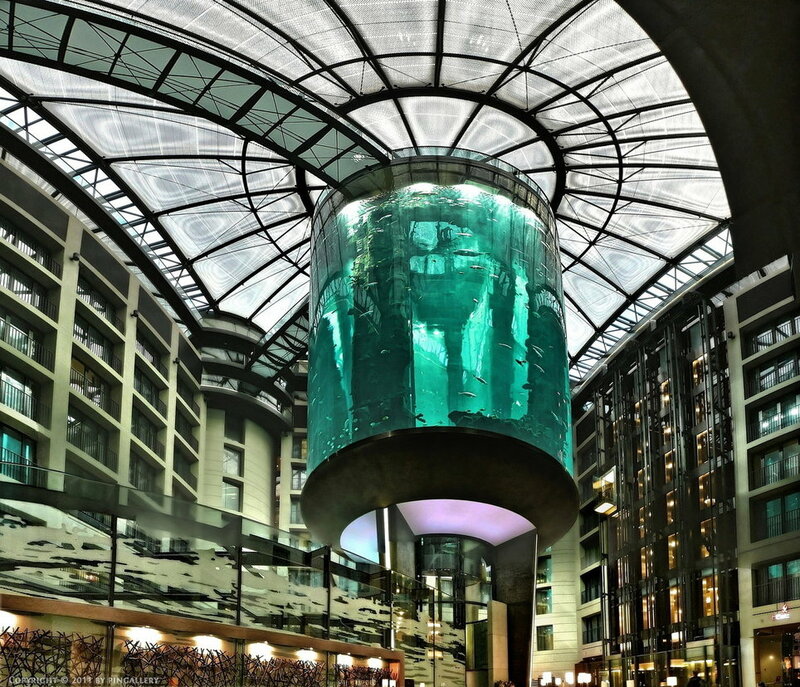 But besides this, the Aquadom also has an elevator that operates at its center, giving its passengers a unique experience of scaling the underwater paradise enclosed in the 1 million-liter tank. Managed by the Sea Life Berlin Aquarium just next door to the hotel, the Aquadom has 1,500 free swimming tropical fish of 56 species and miniature coral reefs at the base, all regularly taken care of by full-time scuba divers. 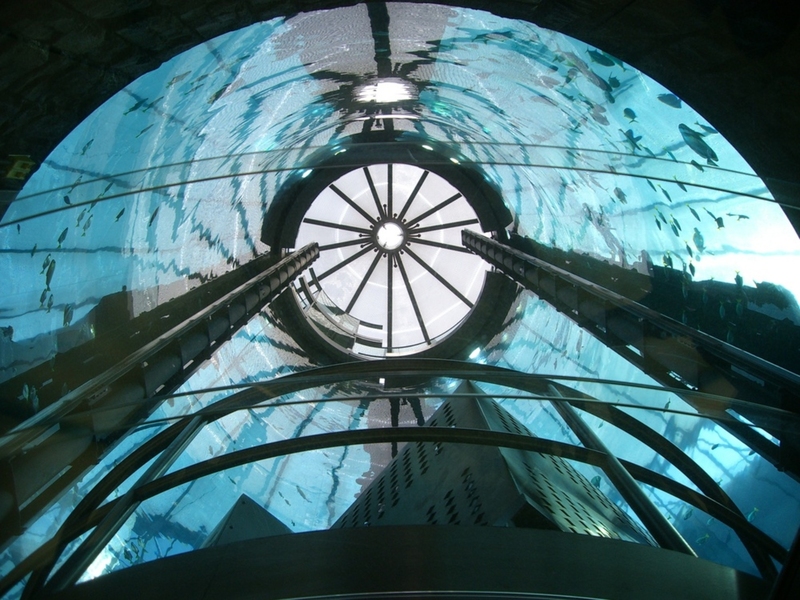 Guests riding the elevator (maximum capacity: 48) can travel all the way up to a viewing platform just underneath the glass roof of the hotel, from which they can view the spectacular sea life as well as the luxurious hotel atrium from above. The aquarium also filters the light coming from above, projecting calm blue waves and ripples onto the hotel walls. 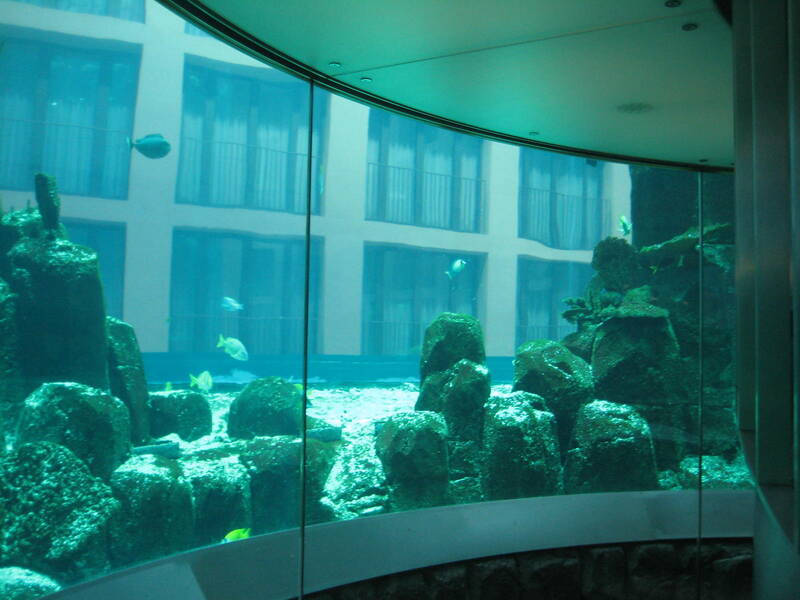 Built only in 2004, the aquarium was made using four pieces of clear acrylic cylinders that were manufactured on-site and had to be individually crane-lifted into place as the rest of the hotel was gradually erected around it. The outermost cylinder measures 11 meters in diameter, while the whole structure rests upon a 9 meter-tall foundation. Though its construction was definitely challenging, the result is indeed a ground-breaking piece of architecture that is found nowhere else in the world.